Attention cinephiles! There are many film festivals coming up this September that you can enjoy. Some are well-known, while we also have a couple you probably haven’t even heard of. Keep in mind that many of these require early registration, so don't delay! Adventures of Wild Bill Hickok fans will remember Andy Devine who portrayed Hickok’s trusty sidekick, Jingles P. Jones. The show ran from 1951 to 1958, and Devine went on to appear in more than 400 films, including The Spirit of Notre Dame (1931) and The Man Who Shot Liberty Valance (1962). Devine even had his own children’s television show. Every year, his hometown of Kingman, Arizona, hosts an annual “Andy Devine Days Parade,” on September 23. You can also see a display on Devine’s career at the Mohave Museum of History and Arts in Kingman. Yes, there is such a thing and it’s based on the movie that starred Richard Gere. The Mothman Prophecies is a cult film with its own museum in Point Pleasant, West Virginia, which includes the largest amount of props from the movie and the story behind the movie. Based on true events, it also stars Debra Messing, who plays Gere’s wife, Mary. The couple is involved in an accident where Mary dies, but she leaves behind drawings of creatures that she saw. On September 16th and 17th, The Mothman Festival honors the movie and the legend. This family friendly event includes vendors, live bands, festival food, tram tours, cosplay, entertainment for kids of all ages and more. 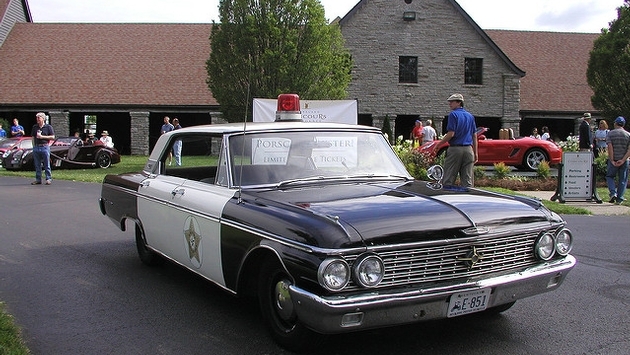 If you’re already whistling the theme song to The Andy Griffith Show—a beloved CBS sitcom that ran for eight years in the 1960s—then the five-day Mayberry Days festival in Mount Airy, North Carolina is for you. It's held September 19th through the 24th and includes a parade, contests, silent auction, special guests and more. Of course, fans of Andy Griffith should stop by the Museum bearing his name as well! He was a cultural icon who was cooler than cool. Dean's career was at its highest when he died in a car accident during 1955. Known for his portrayal of troubled teenager Jim Stark in Rebel Without a Cause, Dean also starred in East of Eden (1955) and Giant (1956). Fairmont, Indiana—Dean graduated from Fairmount High School—holds an annual three-day festival and run. It takes place September 21st through the 24th and draws thousands of Dean fans from all over the world. If you love silent films, then you know one of the greatest silent film actors of all time is Buster Keaton. Also known as “Stone Face” because of his stoic expressions, he performed in Sherlock Jr. (1924), Steamboat Bill Jr., (1928) and The Goat (1921), just to name a few. The Buster Keaton Museum in Piqua, Kansas is devoted to his film career and numerous show business accomplishments. There also is an annual Buster Keaton Celebration in nearby Iola. The festival will be held September 29th and 30th and, unfortunately, will be its last, so check it out before it’s too late.